From reinstatement of specific areas to complete landscapes, our experienced and highly skilled staff command all the expertise, enthusiasm and professional passion you will ever require to bring your schemes to fruition. 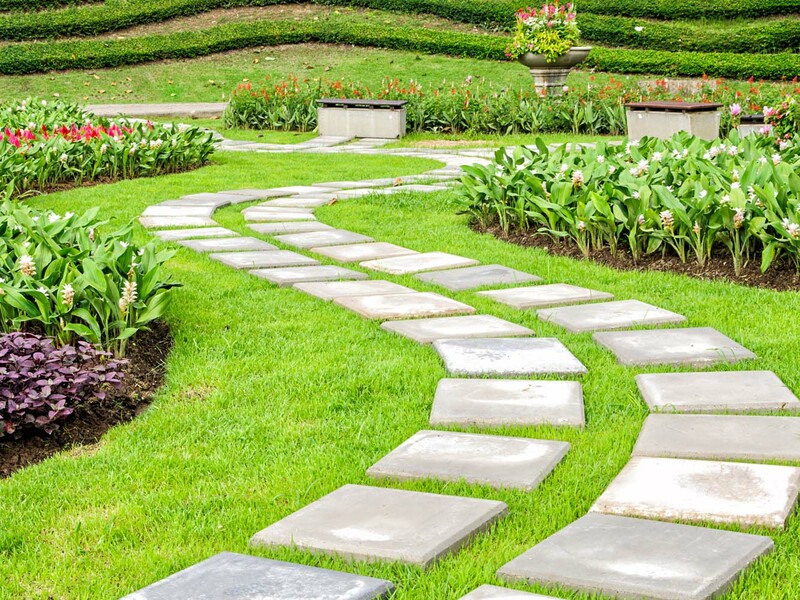 We provide landscape maintenance services tailored to meet your precise requirements. Maintenance work can be arranged as an irregular one-off event or on a regular contract basis and can be applied to areas originally planted by ourselves or by others. At Specimen Tree Landscapes we are well versed in all aspects of landscape, grounds and estate management and will respond reliably to attend both established and newly created projects. Our dedicated team is experienced in all aspects of landscape maintenance and are supported by the latest equipment. We aim to work in partnership with our clients, offering a cost effective service that matches their requirements and enhances their landscape. Aotea Square re-development (2009-2013) – Undertaking soft landscaping of the square following the major repair of the underground car park beneath it, including the supply and installation of 73 x semi-mature trees, the installation of the lawns and providing aftercare maintenance, for Hawkins Construction / Auckland Council. Fort Street Upgrade, Auckland CBD, for Auckland Council (2011-2014) – Undertaking the supply of trees, primarily semi-mature Pohutukawa, and replanting and aftercare maintenance of this now ‘shared space’ street, for Auckland Council. Elliot and Darby Street Upgrade, Auckland CBD, for Auckland Council (2011–2013) – Undertaking the supply, planting and aftercare maintenance of trees, primarily semi-mature Chatham Island Nikau palms, and the supply and installation of Aquaflow Porous Paving. Mander Park, Whangarei (2011-2014) – Supply, planting and aftercare maintenance of specimen grade trees into this prominent park for NZTA for the Whangarei Urban Improvements-Central Avenue Upgrade. Highbrook Business Park, East Tamaki, Auckland (2006-2011) – Highbrook Business Park is a large (107ha) business park owned by Goodman Properties situated on a peninsula of land alongside the Tamaki River. Adjacent the business park, Highbrook Park Trust has developed and maintains 40ha of public parkland. Our company won the soft landscaping contract for Stages 1, 2 and 3 of this development. This involved us supplying, planting and maintaining more than 10,000 trees and shrubs into the road reserves, parkland and some development sites. Gateway (Karanga) Plaza project, Halsey St, Wynyard Quarter, Auckland, for Waterfront Auckland (2010-2011) – This project on the western side of the Viaduct Basin is one of the entry points to Wynyard Quarter from the harbour. Over a period of two years we transplanted semi-mature and mature Pohutukawa trees threatened with potential destruction by the re-development of this area and stored them in a temporary onsite nursery before transplanting them into their final positions into this plaza. St Patricks Square, Wyndham St., Auckland CBD for Auckland City Council (now Auckland Council) (2008-2010) – Undertaking the supply, planting and maintenance of specimen and semi-mature grade trees into this much loved and award winning park adjacent St Patricks Roman Catholic Cathedral. Marsden Cove, Whangarei Harbour, Northland, for Marsden Cove Ltd (2006-2010) – Marsden Cove is a marine village and residential subdivision adjacent Whangarei Harbour. Our company won the contract to supply plant and maintain more than 16,000 trees and shrubs into the road reserves and reserves of Stage 1 of this development. Queen St Upgrade, Auckland CBD (2006-2009) – Our company in a partnership agreement with the then Auckland City Council, undertook the upgrade of the existing vegetation in Queen St. This involved transplanting approx. 50 mature Nikau palms and 50 Liquidambar trees into the street as well as installing Aquaflow Porous Paving to the base of some retained trees, as part of a major upgrade that included new paving, street furniture and lighting.